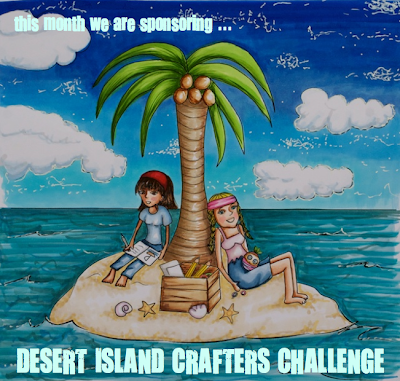 Sammi, thank you so much for not only sponsoring DICC, but for drawing those adorable desert images for us as well! I love how you've colored your project. The sky and the sea is so pretty! Sammi thank you so so much for sponsoring us at DICC this challenge!!! Thank you also for creating the images for us!! You are awesome!! LOVE LOVE LOVE your project! !